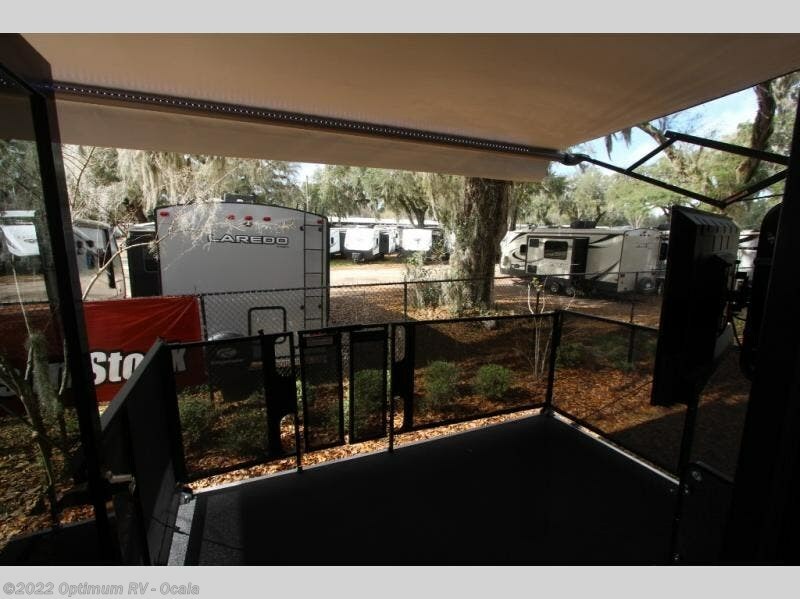 Do you desire a luxurious weekend getaway, but want to bring along your favorite off-road toys? 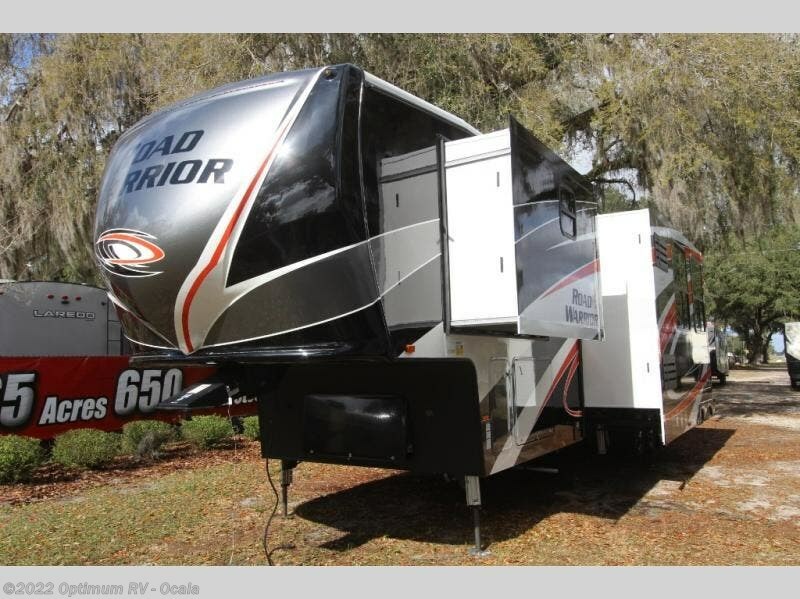 Well then check out this Heartland Road Warrior 4275 fifth wheel! 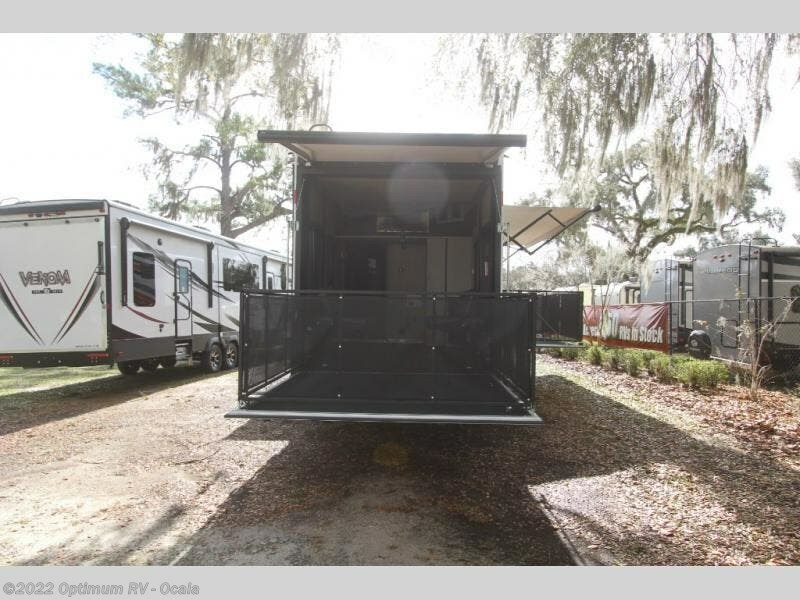 With 13' of garage space, you will have plenty of room to bring them along. 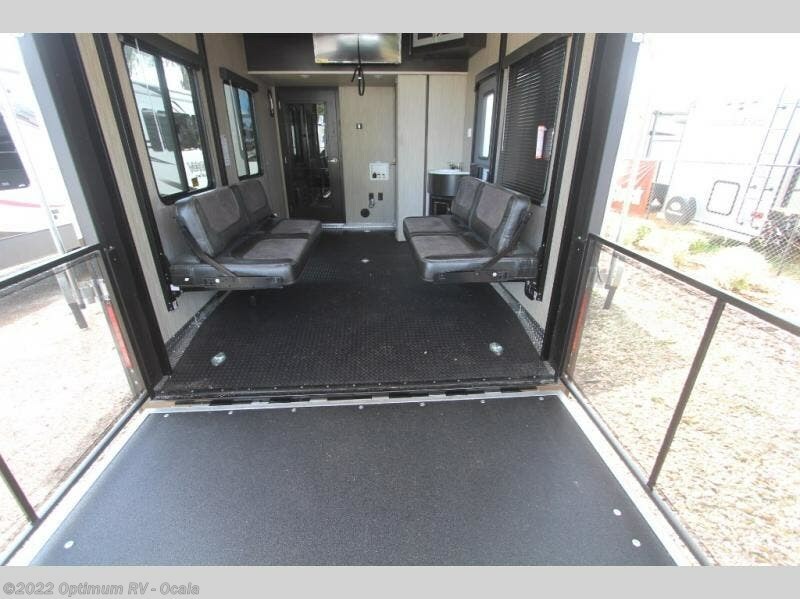 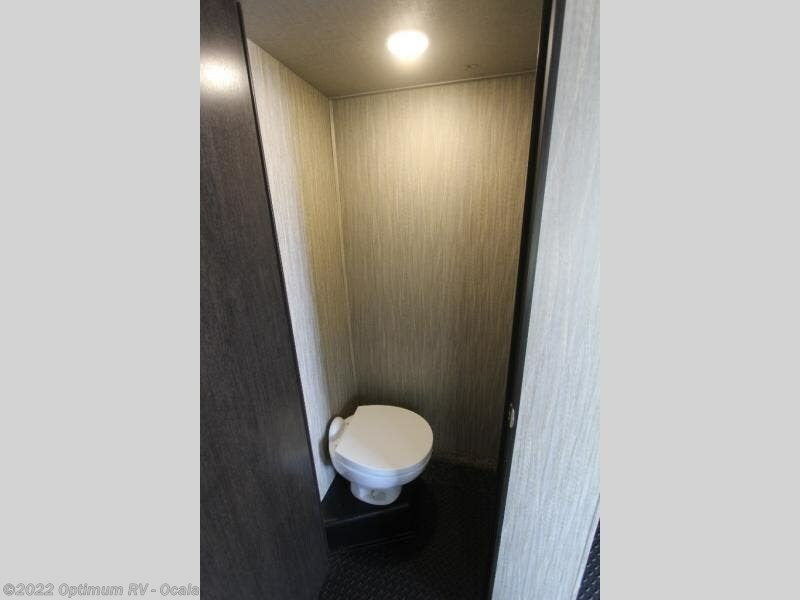 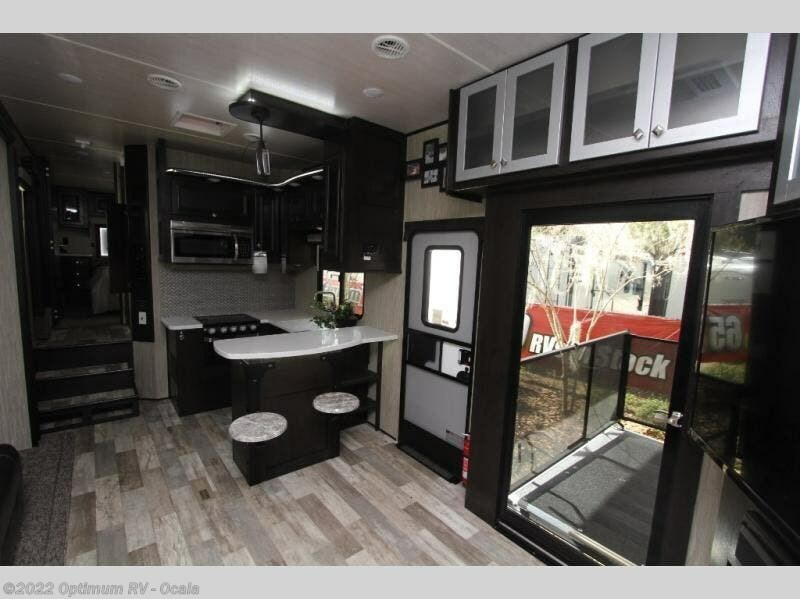 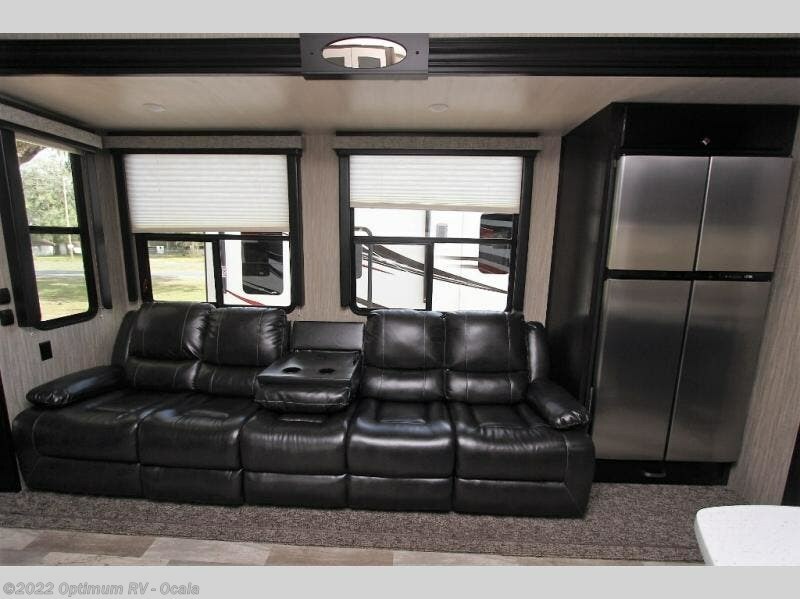 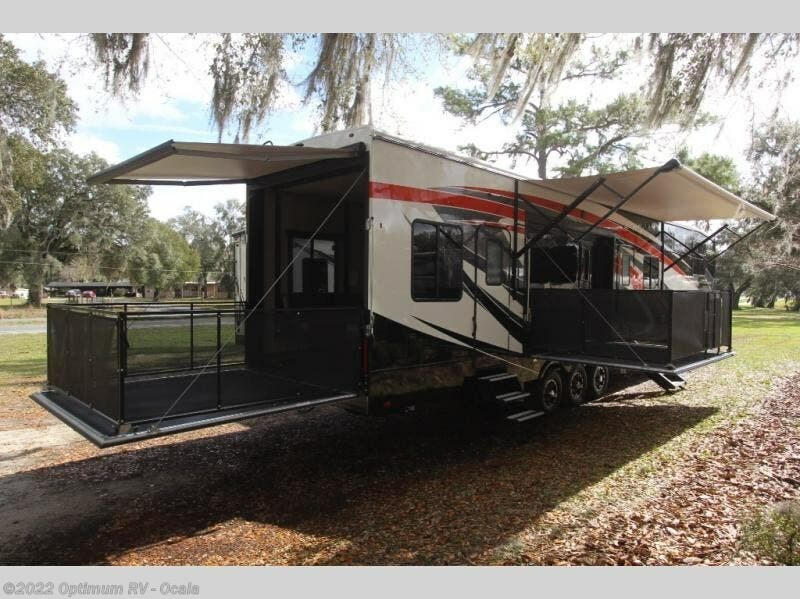 After you have unloaded your toys, you can enjoy the comforts this unit provides. 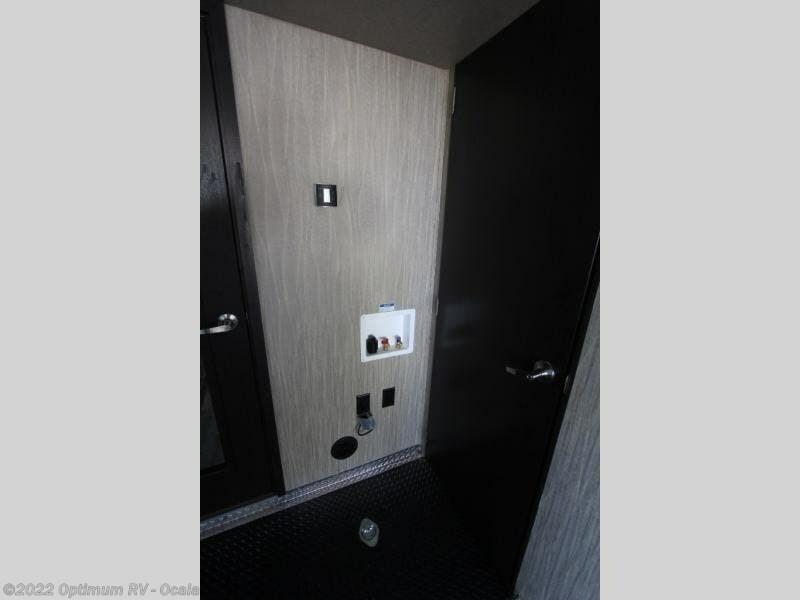 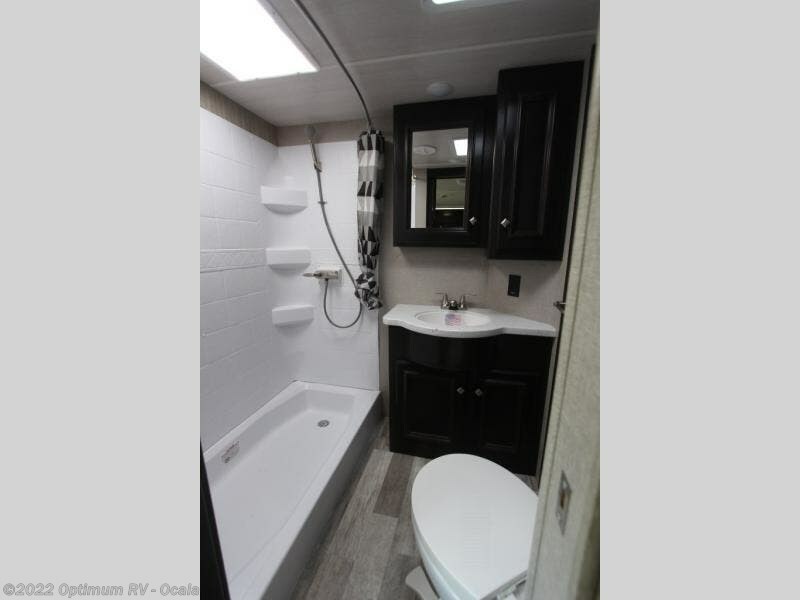 Like the bath and a half, the two LED TV's one of which is in the bedroom, and the two swivel stools at the kitchen countertop. 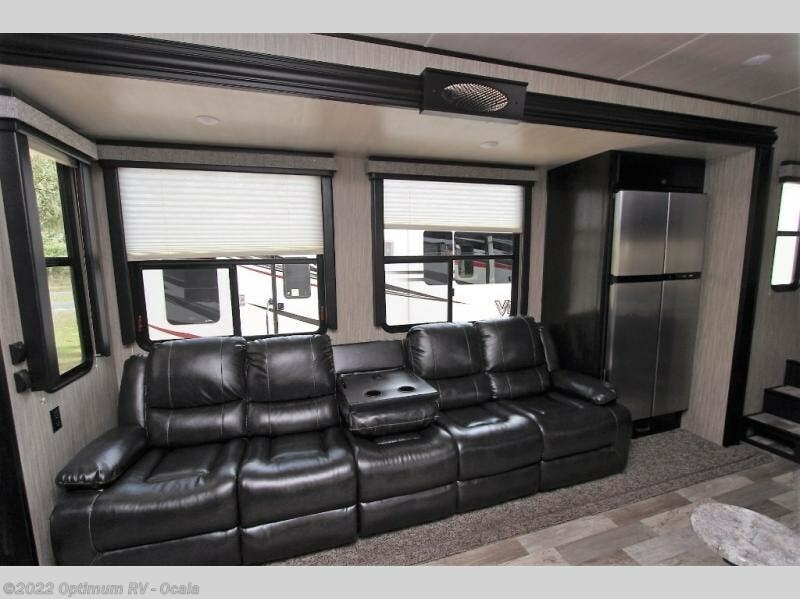 What better way to relax after a fun filled day than to sit on the sofa in front of the fireplace with your favorite beverage. 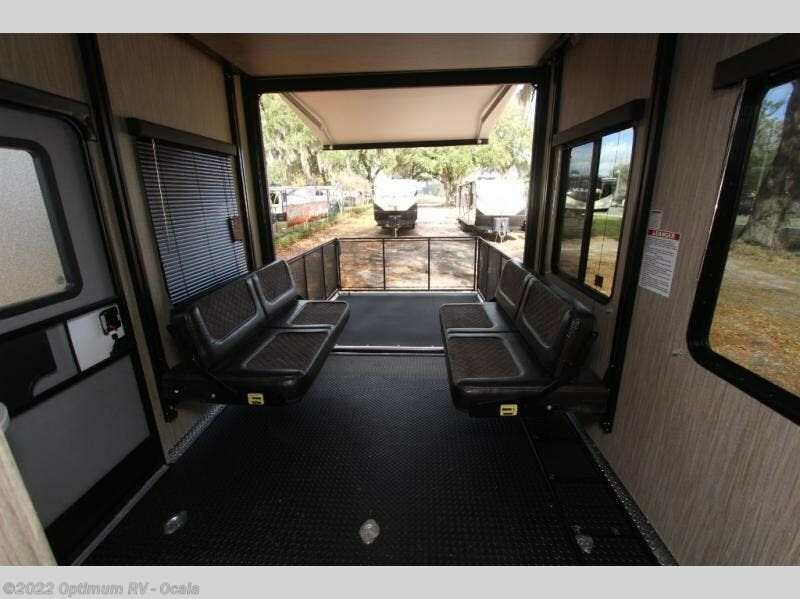 The table with chairs is the perfect spot to enjoy your meals at or play a card game or two. 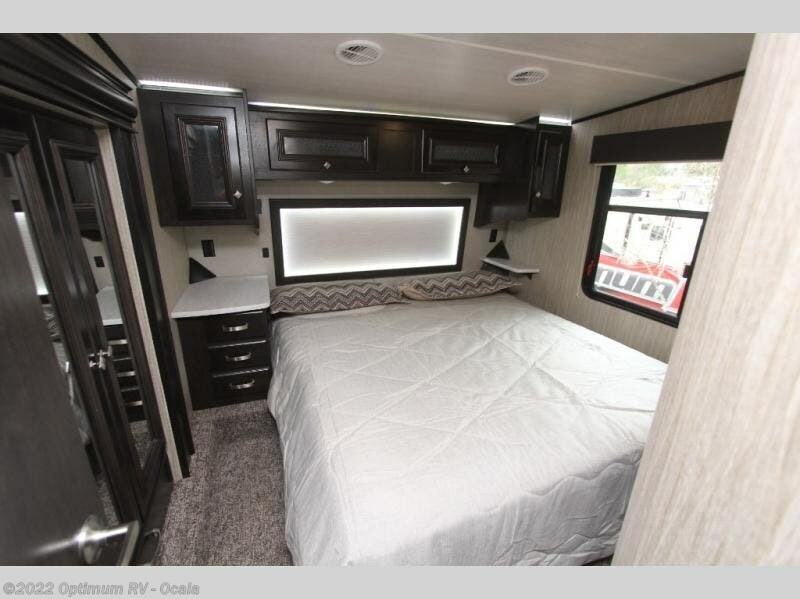 And when you're ready to hit the sack, head into the front private bedroom and enjoy a good night's rest on the king bed! 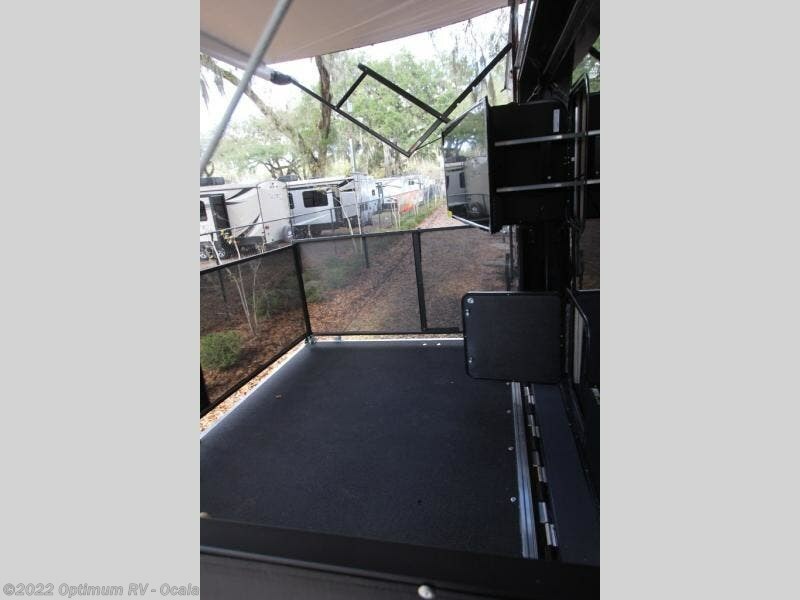 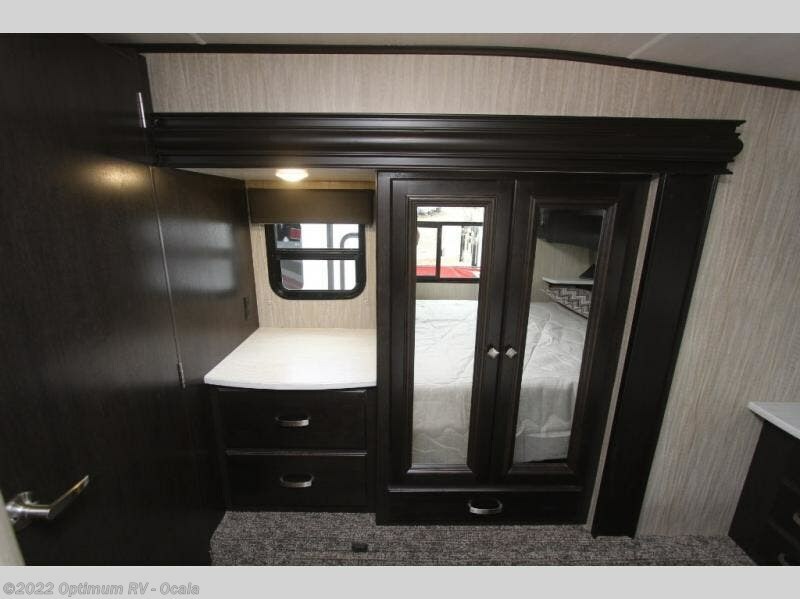 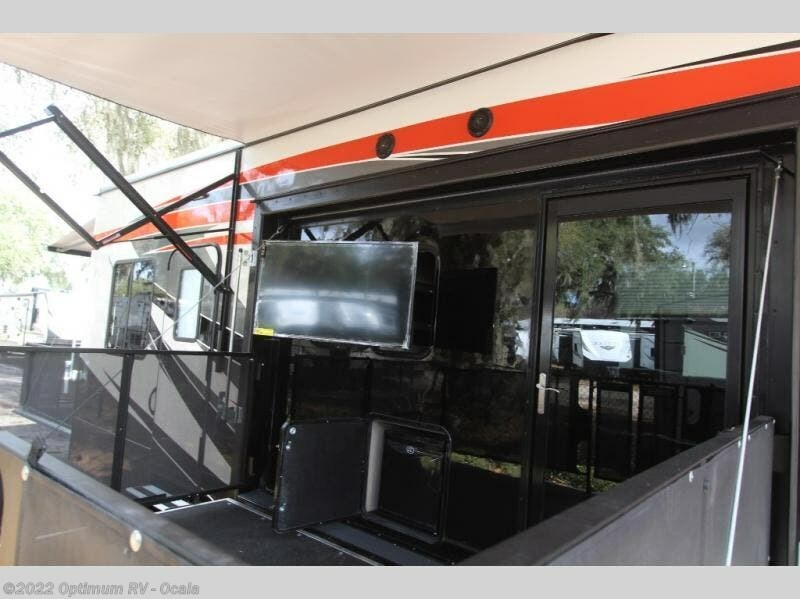 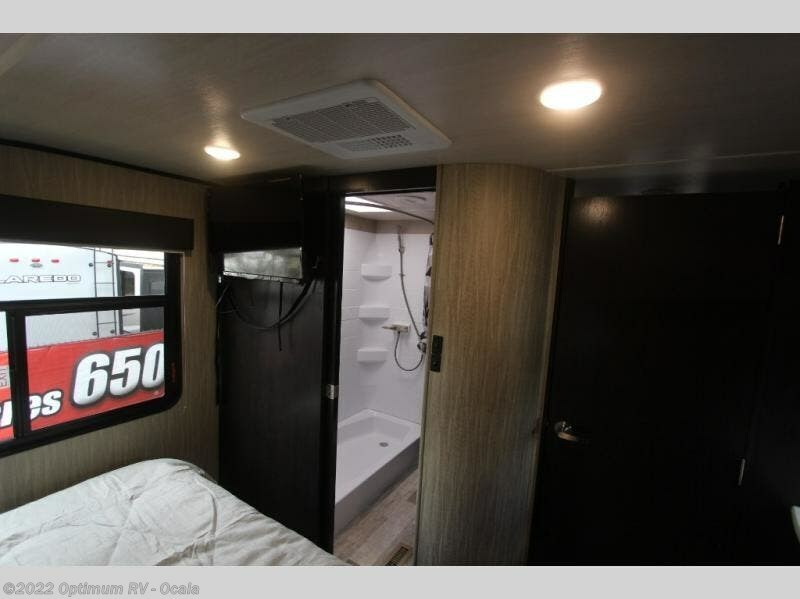 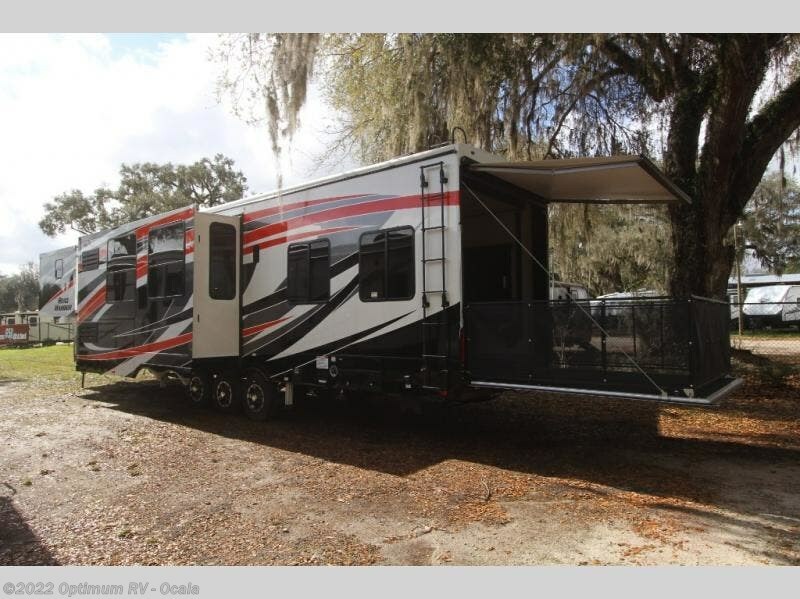 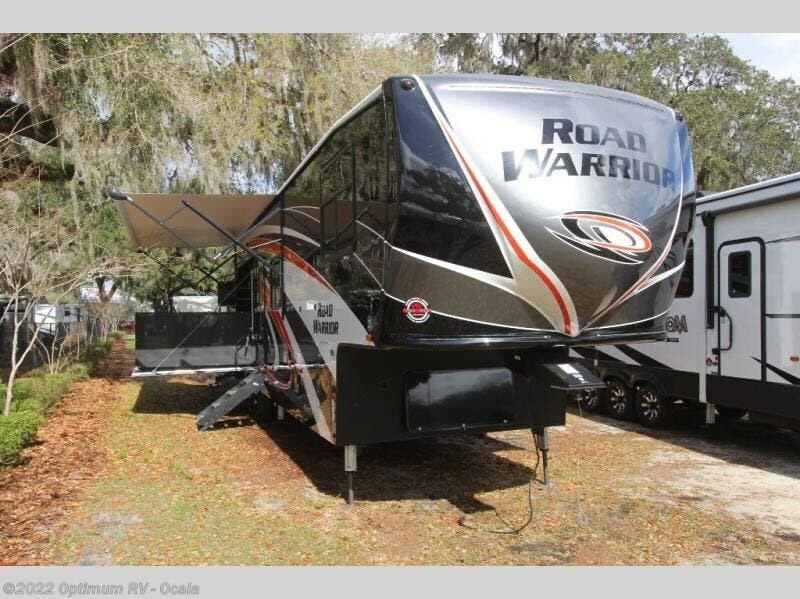 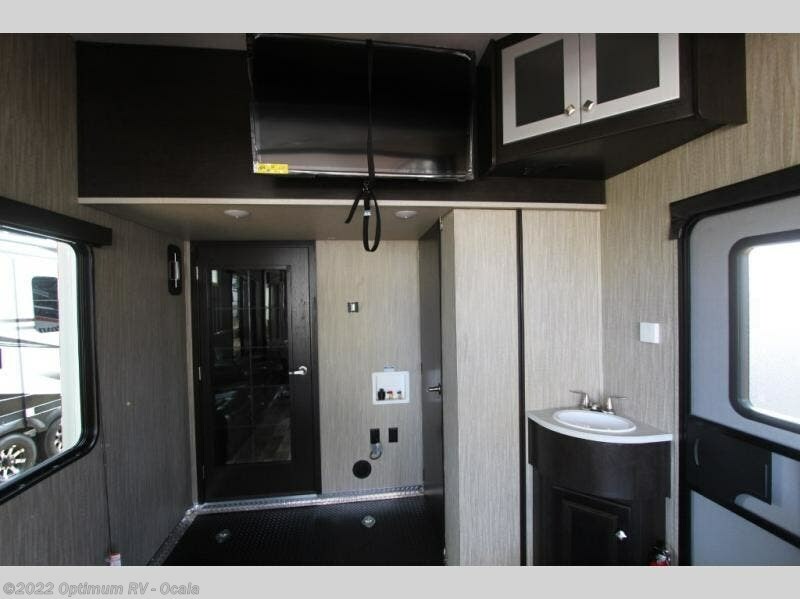 Check out Stock # 8HR413 - 2019 Heartland Road Warrior 4275 on heartlandrvsource.com!